Notice anything missing in this picture??? Answer – my iBike came loose on one section of bumpy road. There was no way to tighten it back up while riding so I had to wait for one of the screws to come completely off. Then I could spin the iBike around to unscrew the other screw. Finished the race with the iBike and my iPhone in my pocket. This was a fun race course through the Kettle Moraine State Forest area near Greenbush and Elkhart Lake. The course was rolling with several steep rollers having gradients well over 10%. I got into an early move that lasted 3/4 of a lap. The field brought us back, and I drifted too far back in the pack so I missed the counter attack and a subsequent chase group that hung in front of us for a while. Then as people in our group started to pull out of the race, the chase group left the field for good which meant that the rest of us were racing for something like 12th or 13th. Still, I wanted to make a race of it so I tried to get in a few moves, and I tried to keep the pace in the field rolling. On the last lap, Steve Tilford attacked after exiting the forest. A couple guys bridged up to him, and I was sorta in disbelief that I had just missed another move. An ISCorp rider attacked into the headwind a little while later. I was at the front and determined not to just wait for a field sprint. So I attacked to bridge up to the ISCorp rider. I attacked hard and was able to get away cleanly. I looked behind and saw that the field hadn’t responded so I poured everything into it not saving anything for the sprint. I made it to the ISCorp rider right as we were making the lefthand turn to take us through a long section of crosswinds. We worked hard together and could see the field strung out behind, but they had waited too long to start chasing. Up ahead we were closing on the break of three who appeared to have merged with the remnants of the chase group that had been gone since the second lap. I need to see the results to see my exact placing to determine if that is what happened. In any case, we couldn’t quite close the gap to that group, but we stayed ahead of the field. I couldn’t compete with the ISCorp rider in the sprint after doing a lot of work so I sat up and eased in just ahead of the field. Here is a map of the course, plus here is a link to interactive stats from the ride – http://app.strava.com/rides/778406. Finally, here is a gallery of pics from the day — some from the race and some from Minneapolis / St Paul where the rest of the family had a fun day on quite a few adventures of their own. 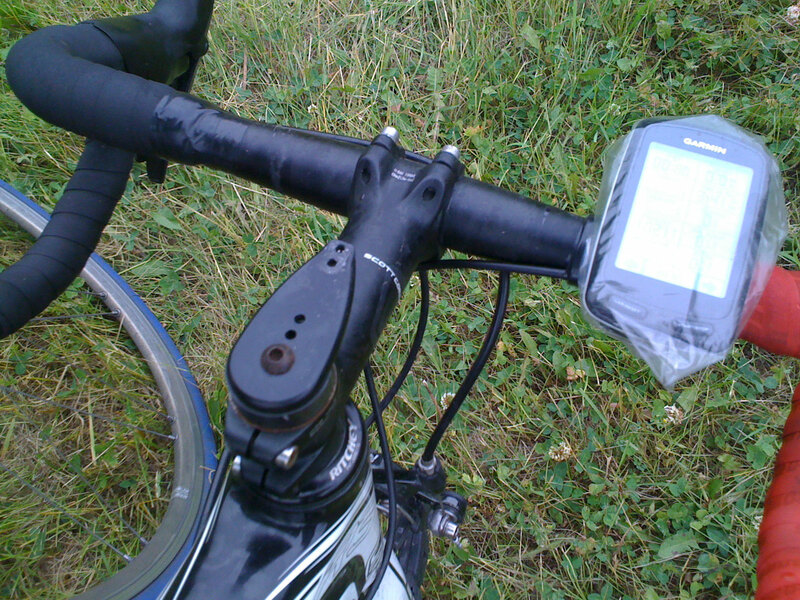 This entry was posted in Racing and tagged ibike, photos, road race, strava, toad, wisconsin on June 20, 2011 by kartoone.